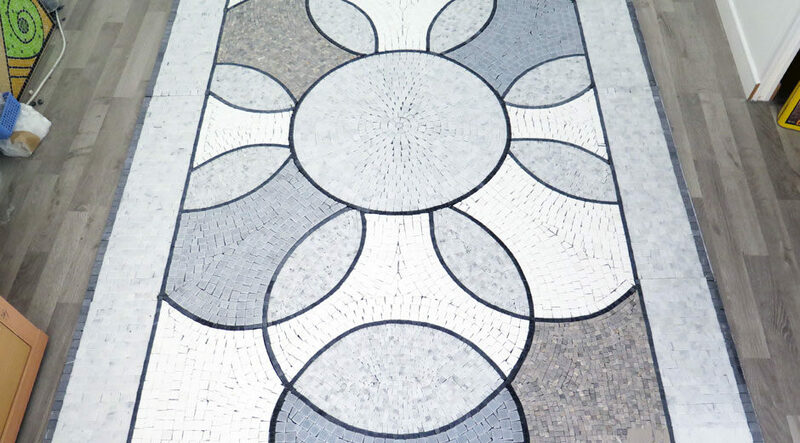 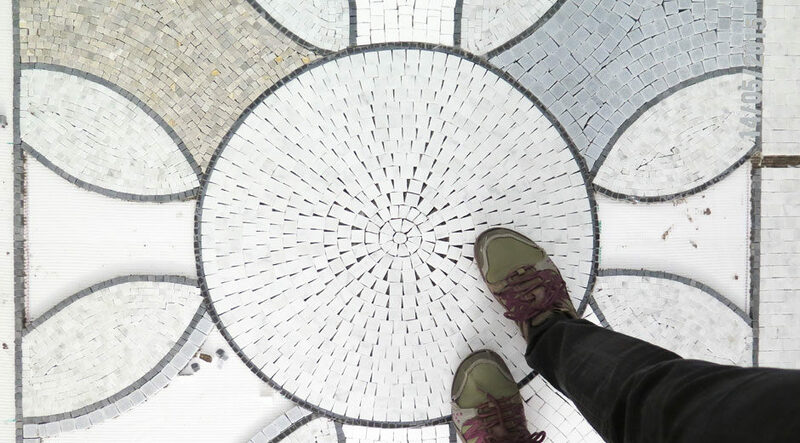 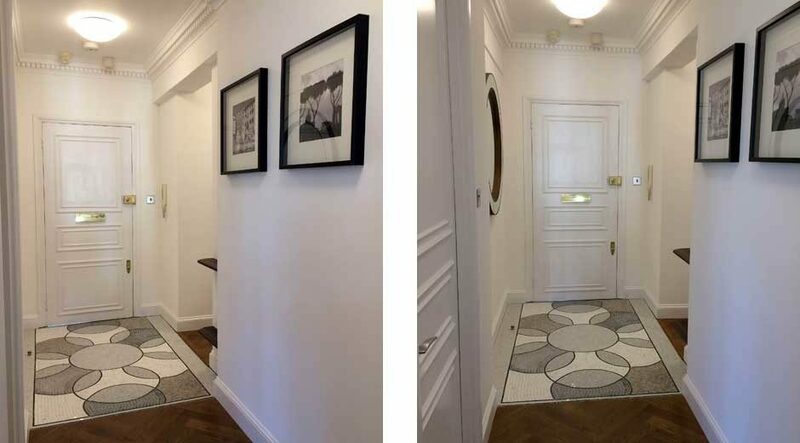 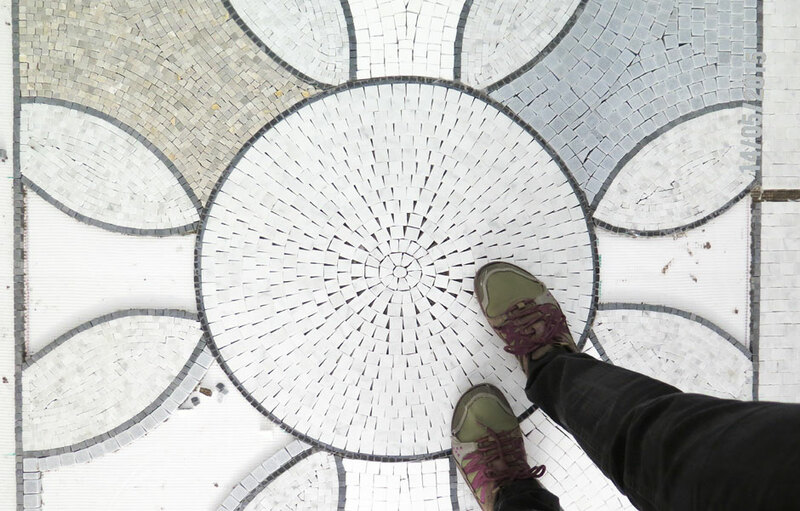 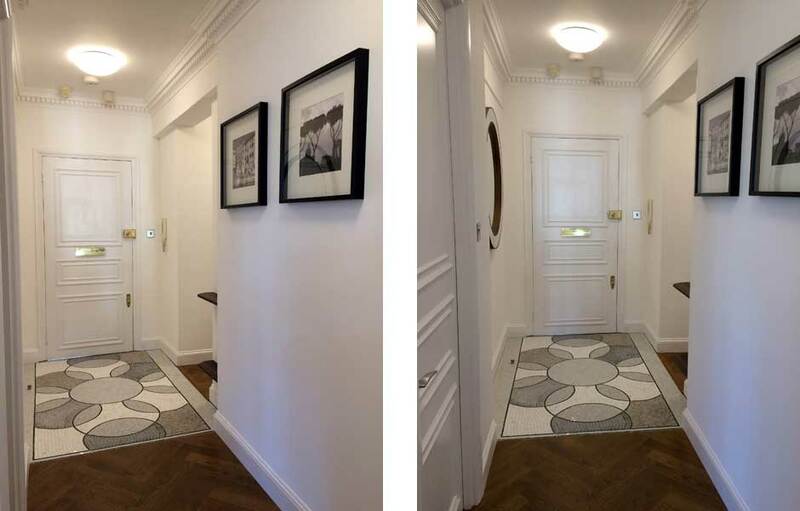 Creation of a mosaic doorstep for the entry of an apartment in London. 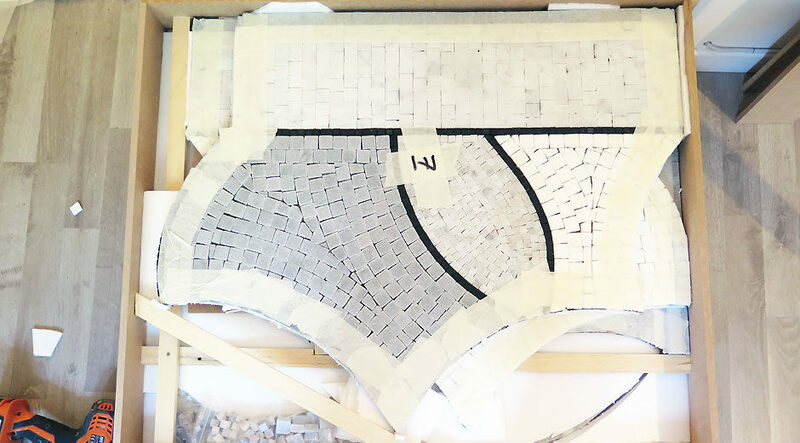 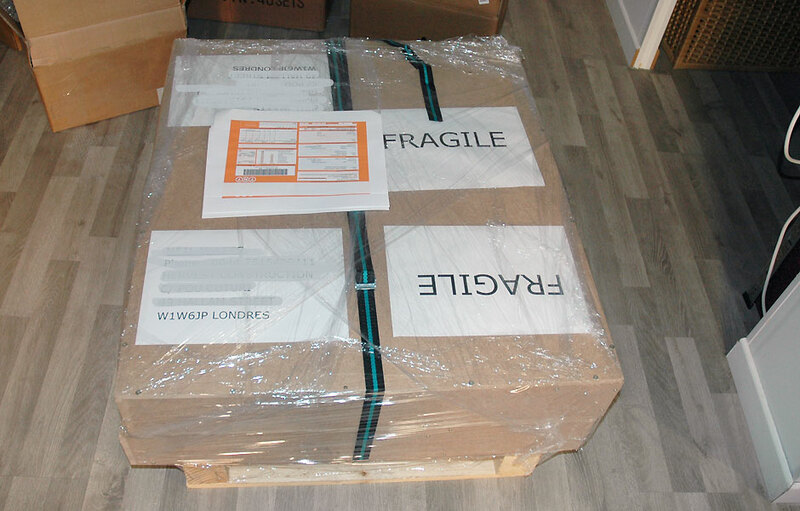 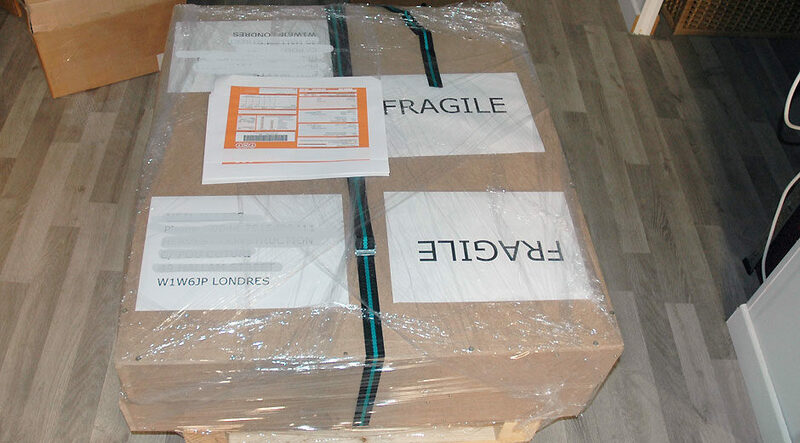 Marble mosaic created on a net and delivered with assembly plan in London. 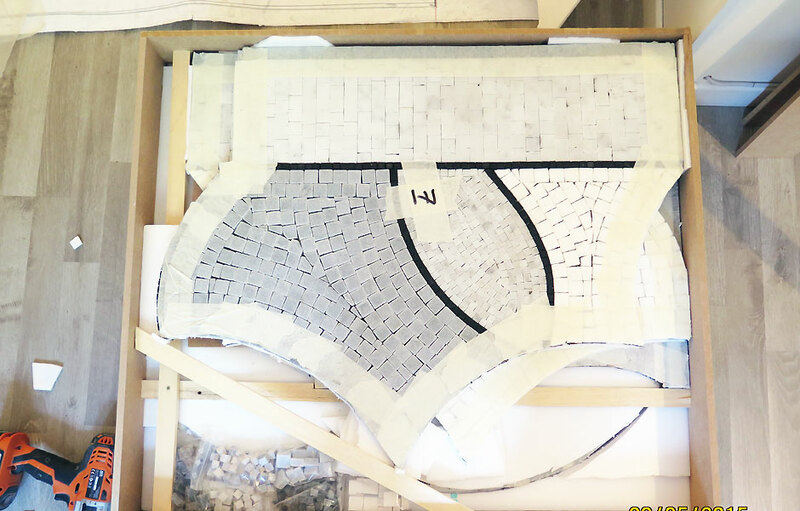 The mosaic was installed on-site by a local tiler craftsman. 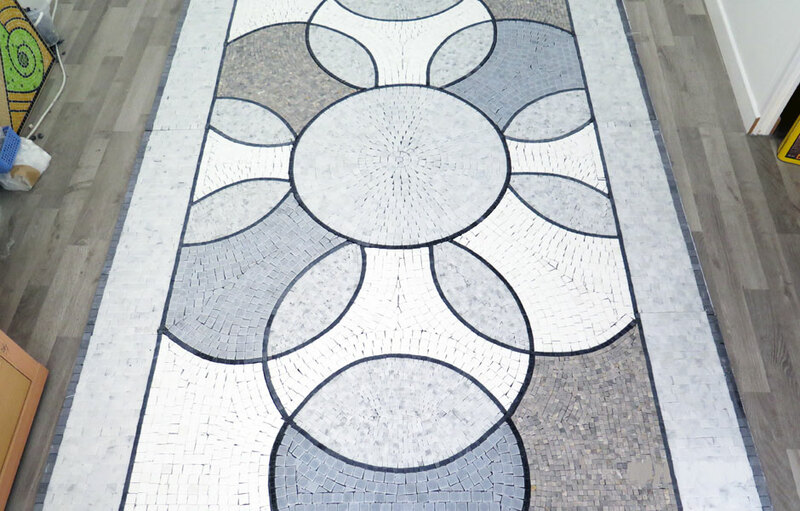 Shiny polished marble and matt polished marble of different sizes, in shades of gray. 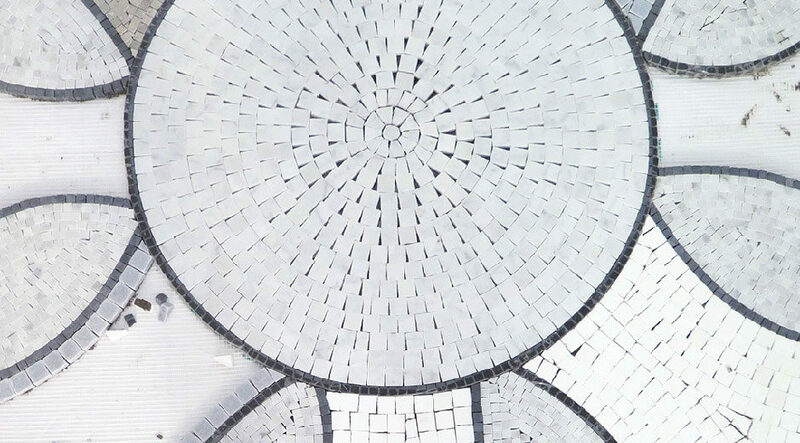 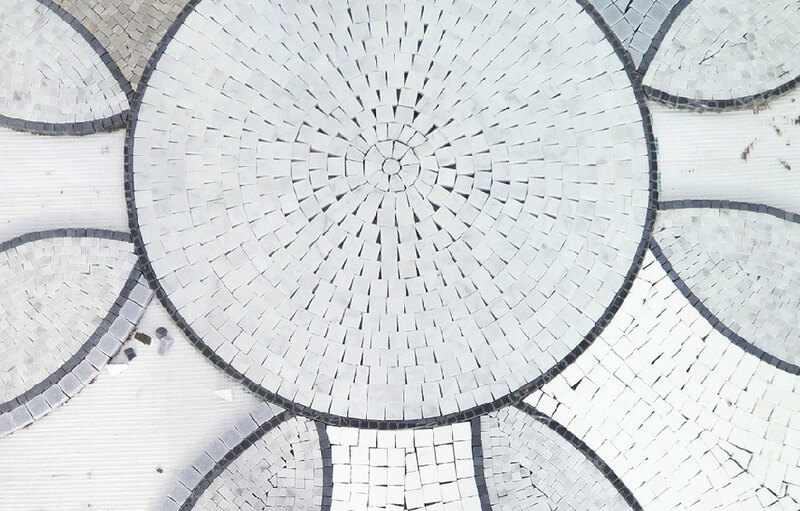 Creation of marble mosaics for flooring coating (decoration of a pavement, threshold).